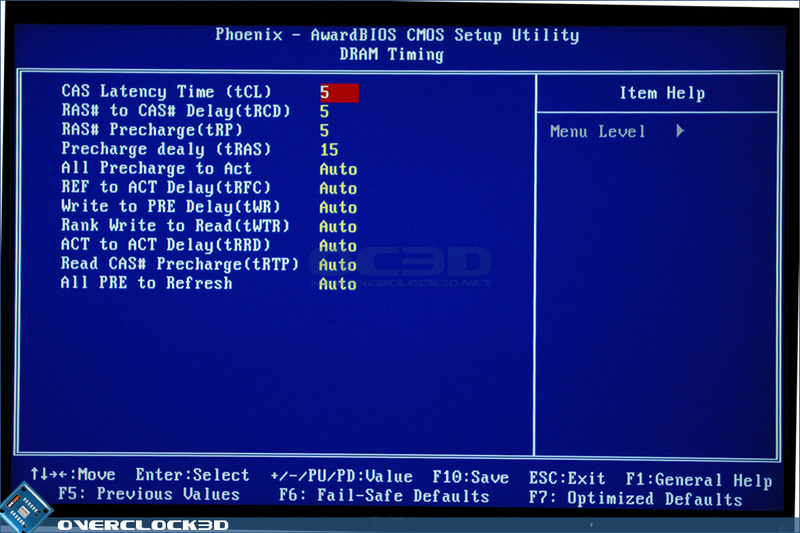 The BIOS is sometimes the make or break factor in mid-range boards, especially the ones that are aimed at enthusiasts. 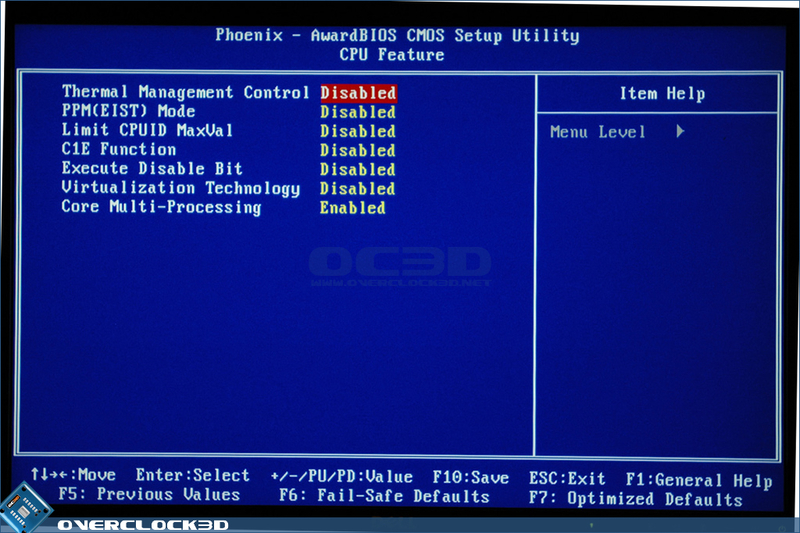 DFI have once again gone for a Phoenix Award Bios, so veteran DFI users should feel right at home right from the getgo. 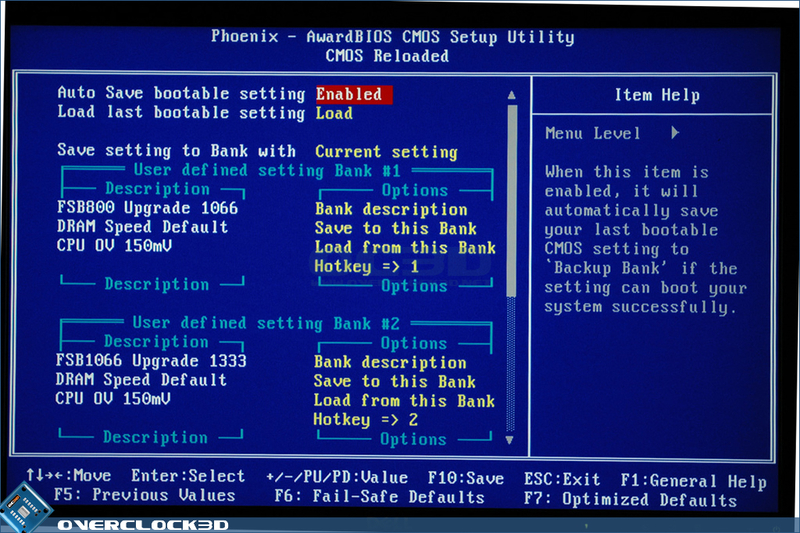 Starting off by looking at the flashing procedures available to us, we can see that the slightly dated floppy disk is still the preferred method of updating the BIOS. Of course, you can always use a correctly formatted USB stick to feel a bit more modern. 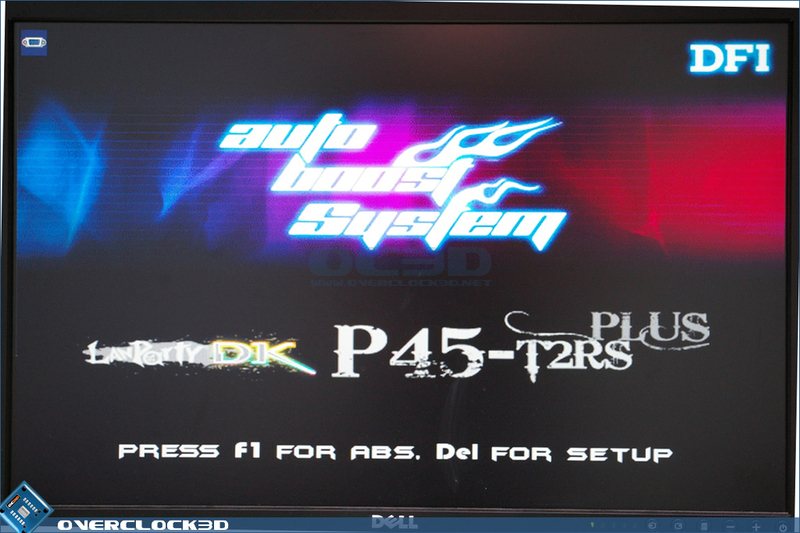 Unfortunately, DFI are yet to implement a nice, easy flash program into their boards as Asus and other manufacturers' have done. There is a Windows tool, but do we really want to go there? 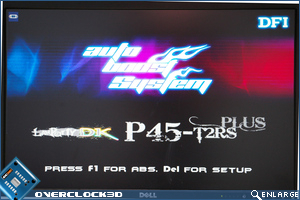 Upon boot, you're greeted with a splash screen inviting you to select either the Anti-lock Breaking System Auto Boost System feature, which is essentially a one button overclock, or enter the BIOS. 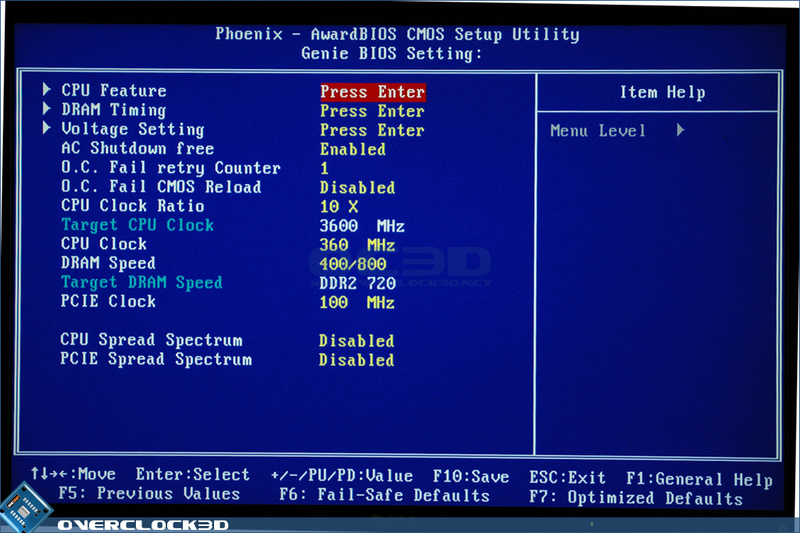 The overly familiar menu is presented upon loading, and of course we went straight over to the Genie BIOS settings section to take a peek at the tweaking options. As you can see in the above screenshot, the board doesn't disappoint in tweakable settings. DFI have gone with their usual ploy of throwing the accepted naming conventions for settings out the window and coming up with their own, so getting to grips with everything can take a minute or two. 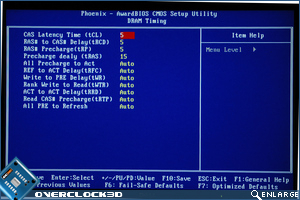 As you can see, there are all of the basic settings you would need for a decent enough overclock. 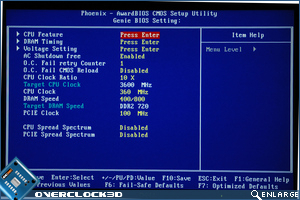 The ridiculous degree of settings that can be found in the BIOS' of the high-end DFI boards isn't present here, which to be quite frank I found welcoming. 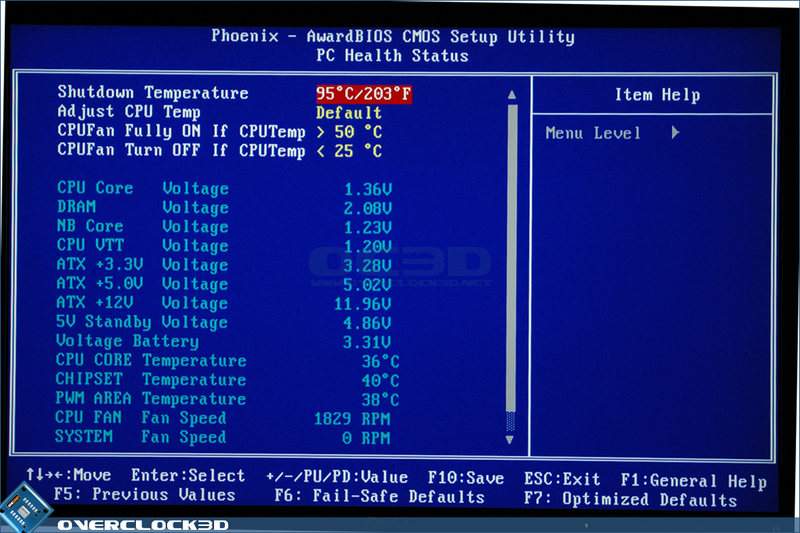 It makes the board feel like it was designed to be used by anyone, rather than people who spend more time in the BIOS that in their OS. 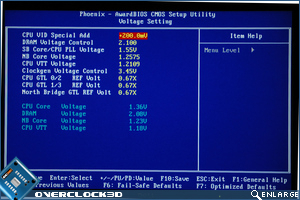 Three menus are available from the Genie page: the "CPU Feature", "DRAM Timing" and "Voltage Setting" pages. Separating these options keeps things nice and organised. 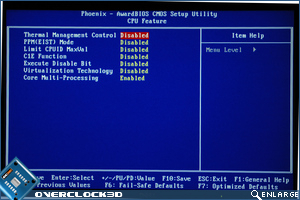 The CPU feature hosts the usual settings that most enthusiasts just turn off on first boot, as well as an interesting 'Core Multi-Processing' option that cuts the CPU down to one core when enabled. The DRAM Timing menu possessed a decent number of customisable settings without going over the top. 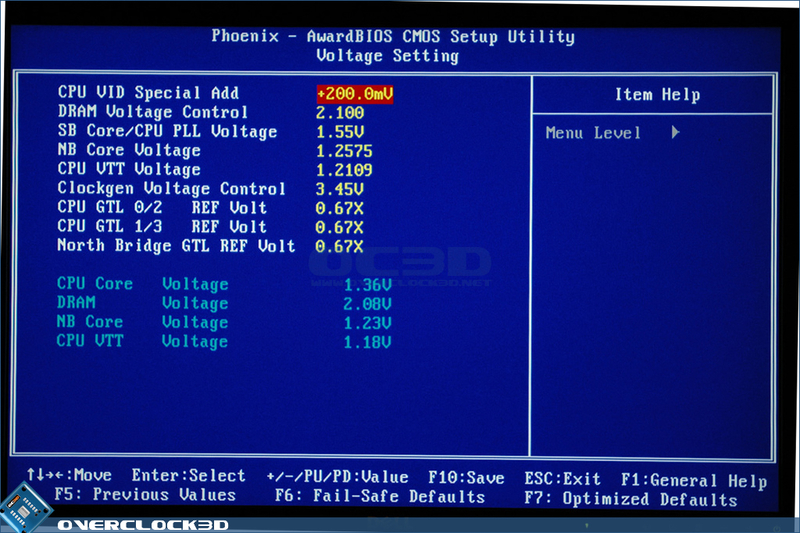 Finally, in the Genie BIOS settings there is the "Voltage Setting" menu which does pretty much what it says on the tin, with no unnecessary settings. 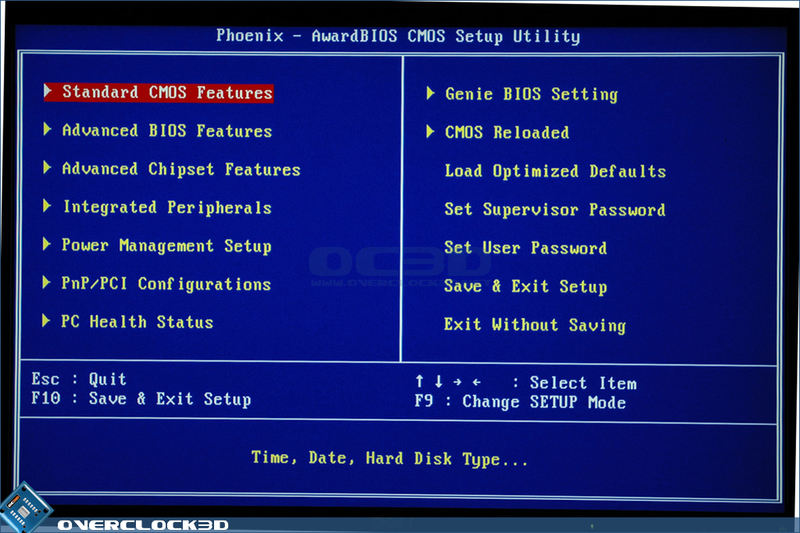 The second page of interest was the CMOS Reloaded menu. 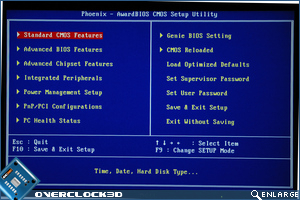 This allows you to save various profiles to the BIOS for future use. This is a feature which is seen on a lot of boards these days, and rightly so as trying to remember every setting can be tricky. The page allows the saving of three separate profiles with descriptions so that you know what each profile does. 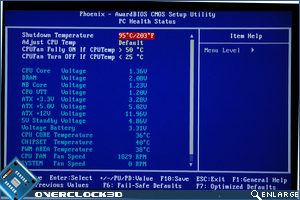 The last page of the BIOS we see is the "PC Health Status", providing all the information you'll need and a little more about temperatures, voltages and fan speeds. Overall, I'm very impressed by the BIOS on the T2RS Plus. It has plenty of options and tweaks that you see on the high-end without going completely over the top. It should allow for some decent overclocks while not scaring the poor user to just knock up the FSB until unstable for fear of what the other settings might do.